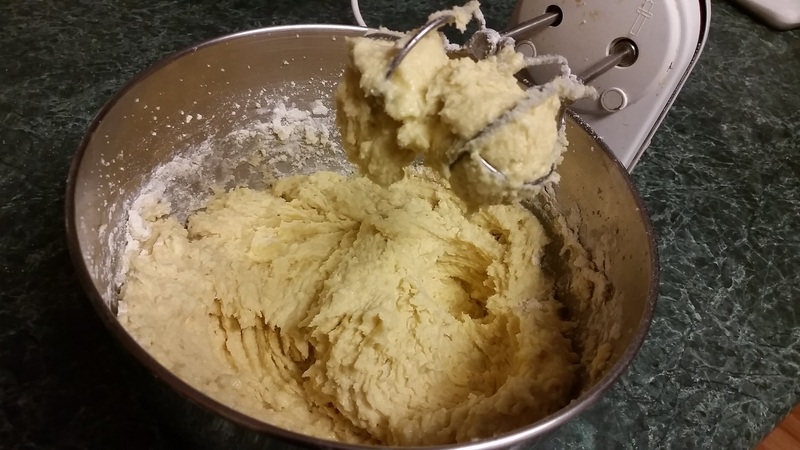 A few weeks ago, I made a batch of pumpkin chocolate chip cookies from a cookbook I have. So I screwed around with the recipe.. a lot. So much so that you wouldn’t recognize it so I’m going to go ahead and call it my own. It’s what I once heard Paul McCartney say he used to do with songwriting.. and if it’s good enough for Sir Paul, it’s good enough for me. These Pumpkin Bread Bites are not too sweet and will remind you of pumpkin bread. For when you just want a bite and not a whole slice. They also freeze well, so go ahead and make a batch and pop them in the freezer. In a small bowl, whisk together the whole wheat pastry flour, the all purpose flour, baking powder, salt and spices. Stir in the nuts and cranberries. 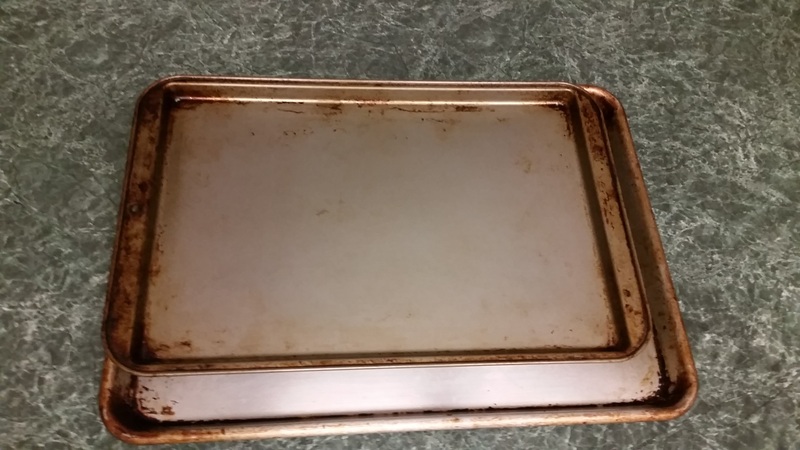 Drop by tablespoon full on a parchment lined baking sheet and bake for about 14 minutes. While the bread bites cool, whisk together the powdered sugar and the milk to form a glaze. We saw the folks for dinner tonight and my mom brought us some puddles that she baked. 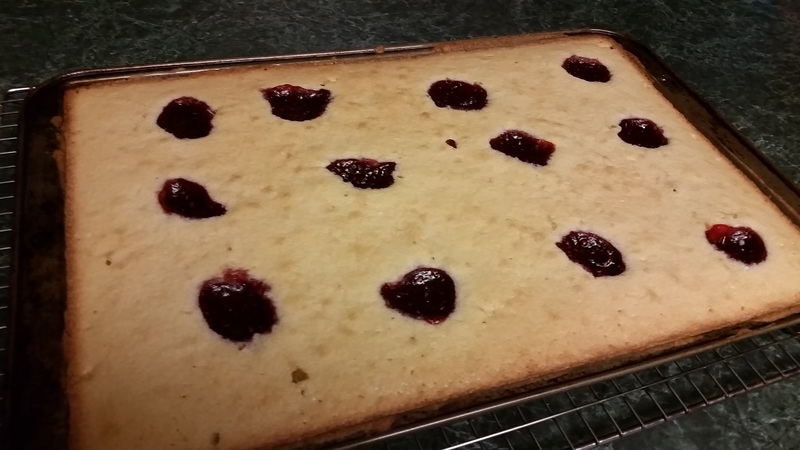 These cookies are made by spreading a batter that is kind of cake-like onto a sheet pan and then you drop 12 blobs of jam into the batter. Then it gets baked off, cut apart and then you top with powdered sugar. She made these with the strawberry fig jam I gave her a few weeks back. These are one of my favorite cookies. Have you ever had puddles? What is your favorite cookie? UPDATE 02/11/14– Wow, Marisa from Food In Jars included this post in her link round up yesterday. SO COOL! For those of you who’ve asked, recipe is forthcoming. I snuck it out of my mom’s house like a thief a few years ago, copied it, and put it back… I suppose I could have asked for it but these cookies seemed to inspire the mischievous behavior of my youth. Of course, I’ve stashed it somewhere and now I need to find it again.